Please help our community — upload your photos of 171919505A. 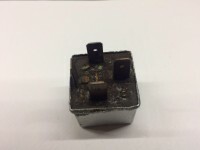 This is a relay for Volkswagen vehicles. It fits for Volkswagen Santana, Variant, and Santana 2000, 3000 for Brazil, China, Mexico, Argentina, Local Market, Shanghai, USA, and South Africa. 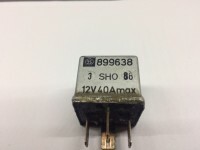 It's a genuine VAG part with an OEM part number 171919505A, part of regulator/switch/control unit. 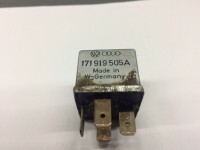 Please keep in mind that this relay was replaced with 867906381 for Volkswagen on Mexico, and the U.S. markets on January 1, 2005, and was replaced with 867906381 for Audi on Mexico, and the U.S. markets on January 1, 2005. Was replaced by: 867906381 on Jan 1, 2005. Was replaced by: 141951253B on Nov 14, 2001. Was replaced by: 867906381 on Apr 30, 1989.